Joint List MK Basel Ghattas was arrested Thursday evening, shortly after relinquishing his parliamentary immunity. Ghattas may now face charges of aiding terrorists after police found 12 cellphones and 16 SIM cards on Palestinian security prisoners whom he had visited. Earlier Thursday, outraged Knesset members were deprived of the satisfaction of stripping Ghattas of his parliamentary immunity when the defiant Arab politician announced that he would waive the immunity, just hours before a planned Knesset vote. On Wednesday, 15 members of the Knesset House Committee had voted to revoke his immunity after Attorney General Avichai Mandelblit said there was sufficient evidence to charge Ghattas for smuggling cellphones to security prisoners earlier this week. A vote on his status was to be held in a special plenary session at 4 p.m. Thursday, but that was canceled after Ghattas sent a message to Knesset Speaker Yuli Edelstein, saying he would relinquish the immunity voluntarily. “The committee debate was, as expected, confrontational, political, and lacking depth, and I will not allow this incitement against me to continue,” Ghattas, who has accused the state of conducting a “witch hunt” against him, wrote. The committee voted unanimously to strip Ghattas of immunity, after a raucous debate that saw several MKs ejected for disorderly conduct, including coalition chair David Bitan. Two Joint List MKs on the committee boycotted the session. 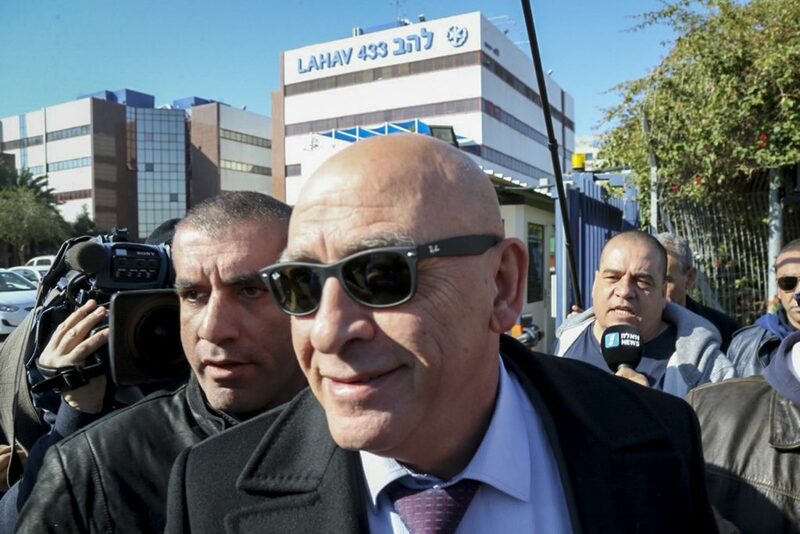 “We decided not to participate in the Knesset meeting about the immunity of Basel Ghattas, as it is an inciting and grandstanding meeting, a field tribunal, whose results are known in advance,” they said in a statement.